Do you struggle with acne? While I tend to have a fairly clear complexion, I always struggle with some problem areas on my face that constantly have white and blackheads. Mostly this shows up on my chin and T-zone area and often larger more visible zits crop up as well. 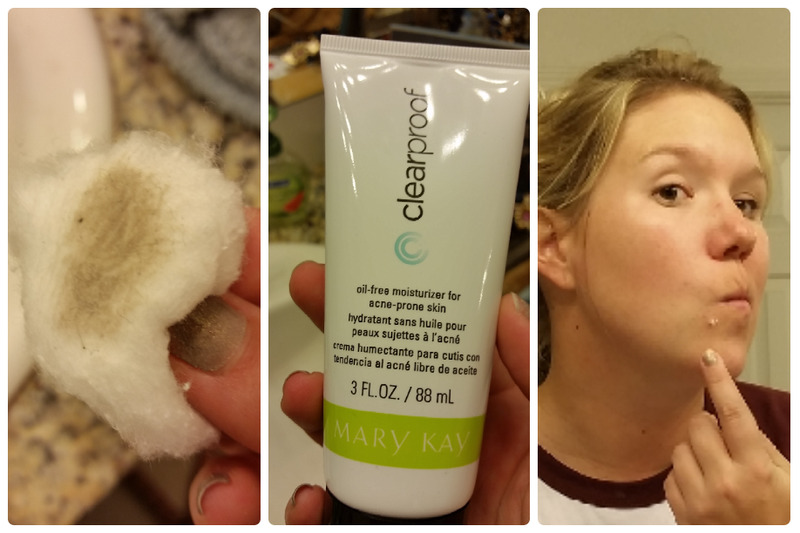 That is why I was so excited to try Mary Kay's Clear Proof Regimen as my very first VoxBox from Influenster! 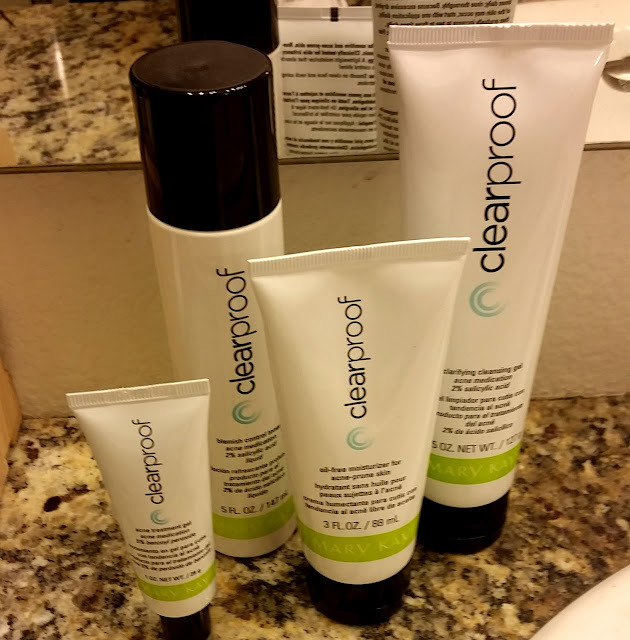 I received the entire Clear Proof line including the Clarifying Cleansing Gel, Blemish Control Toner, Acne Treatment Gel and the Oil-Free Moisturizer for Acne-Prone Skin. It's a four step program. First you wash. Then you tone. Then you moisturize and spot treat problem areas. Simple right? I began using the Clear Proof Regimen every night before bed. I started out using it only once daily as it warned it might be drying to the skin. After about two weeks without excessive drying I started using the cleanser and moisturizer twice a day, but only the toner and treatment gel at night. 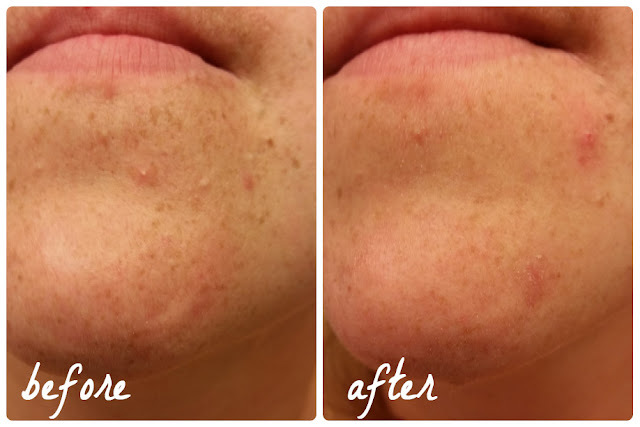 I have to say my favorite part of the regimen is the Blemish Control Toner. I had never used a toner before and boy, were my eyes opened. 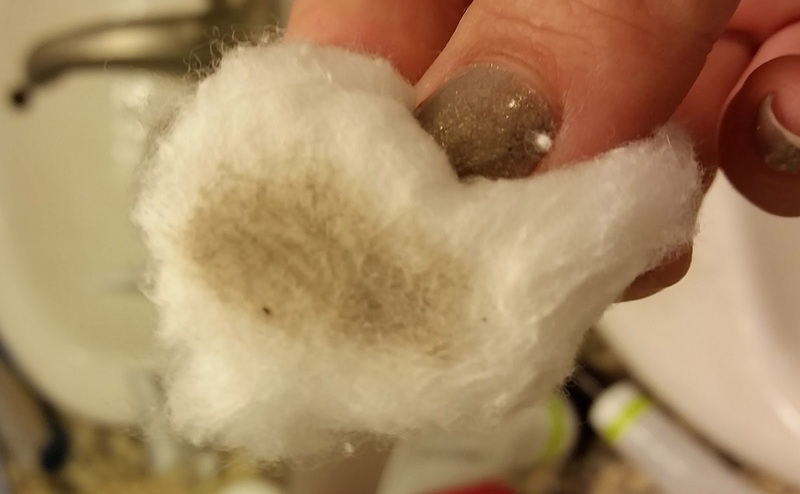 Even after washing my face thoroughly, the toner would still pull more gunk out of my pores! Look at this cotton ball! Overall, I liked the program. 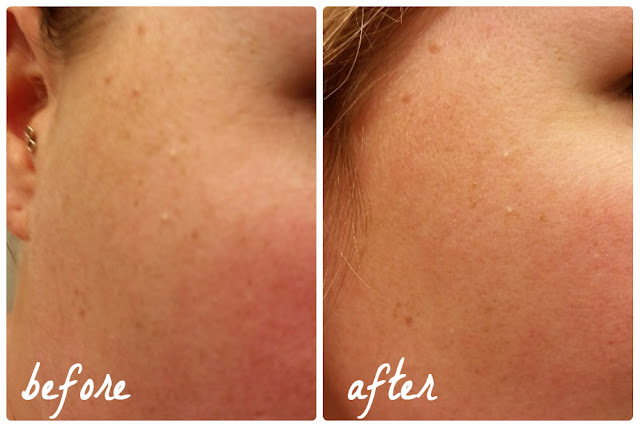 I did see some of my acne clear up (finer pores, fewer whiteheads), but not all. The usual trouble spots remained trouble spots, though slightly improved. I think my issue is hoping that all treatments will be "the cure," when instead I need to be realistic in hope they "help" with the problem. My chin is my trouble zone. You can see that there were still some sizable zits here, but the picture doesn't show that some of the whiteheads are gone and the pores are someone minimized! The Clear Proof Regimen did just that. It did help, but not cure my acne. I do think if I had more severe acne I would have seen more of a difference. After pictures are three weeks into testing. + Easy to use. I thought a "system or regimen" would be a lot of work. It wasn't. Easy peasy. + Seeing the proof on the cotton ball. THE TONER IS AWESOME! + No staining/bleaching of towels or pillow cases, which other products have done. Here is a shot with no makeup. The chin still has a couple bumps, but mostly it's clear beautiful skin thanks to Clear Proof! I will continue to use this product till it runs out, especially the toner. 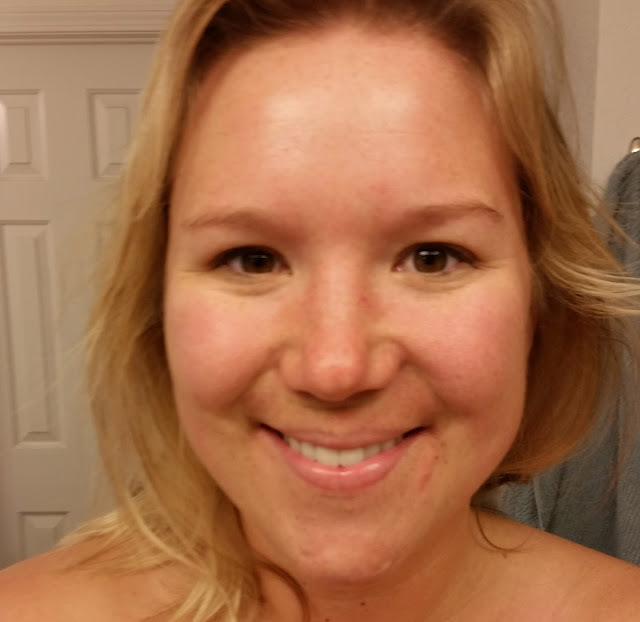 While I might pair it with a little more intensive moisturizer with SPF, I did see some improvement with my skin and I look forward to finding out if that improvement continues! What products do you use for clear beautiful skin? Whoa looks awesome! I'm glad this wasn't a total bust. Your skin looks great!